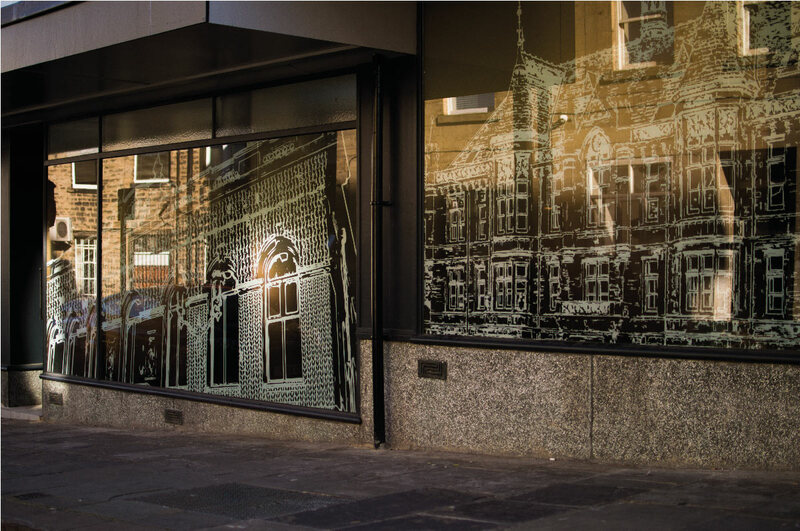 This large scale environmental graphic scheme for the iconic Standard House building in Huddersfield helped transform the look and feel of the Victorian exterior facade; juxtaposing historical references with a fresh modern aesthetic. 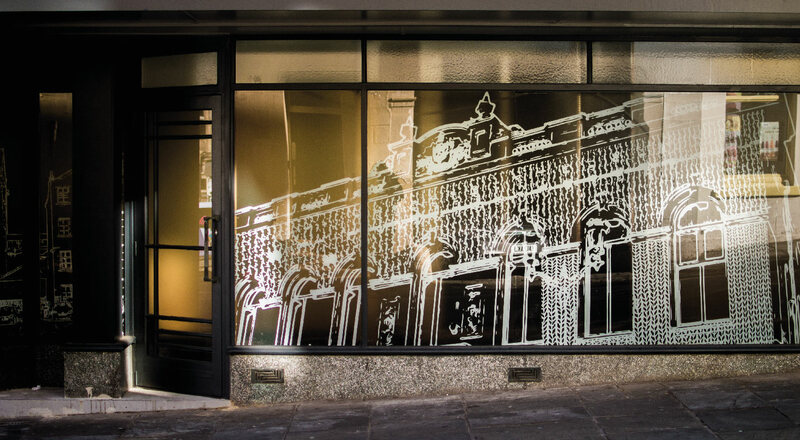 Designed by our team, they drew inspiration from the town’s history and Victorian architecture. 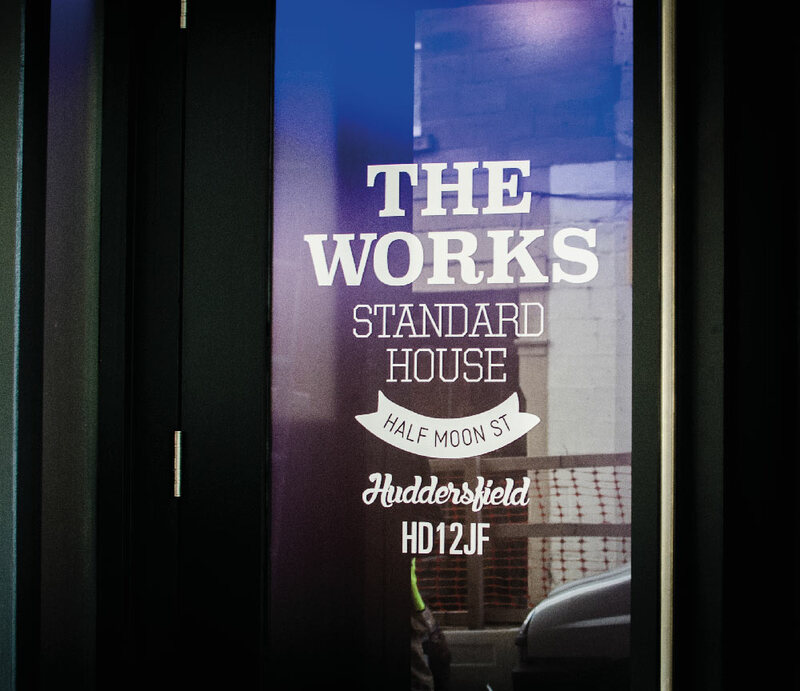 Huddersfield was known for it’s textile offering and infamous fabric mills so we were keen to bring a sense of it’s past back through the use of hand drawn building elevations. 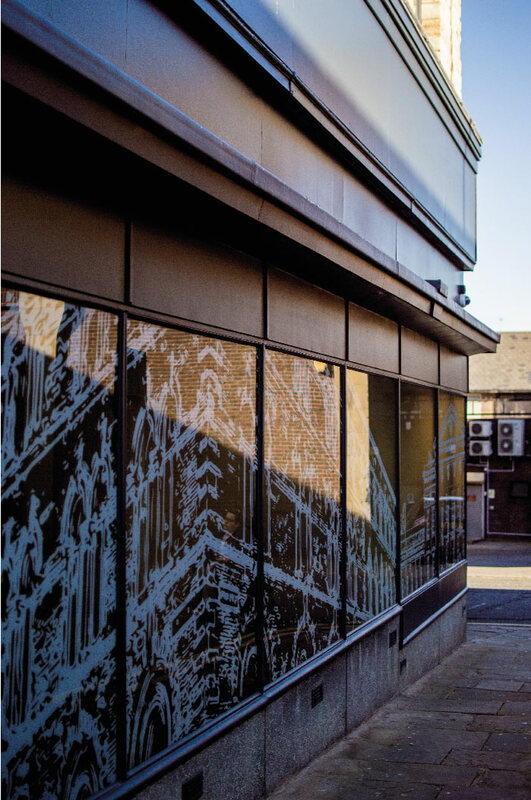 Line drawings felt like the natural option to propose to the client as it allowed us to show the finer detail of each building. 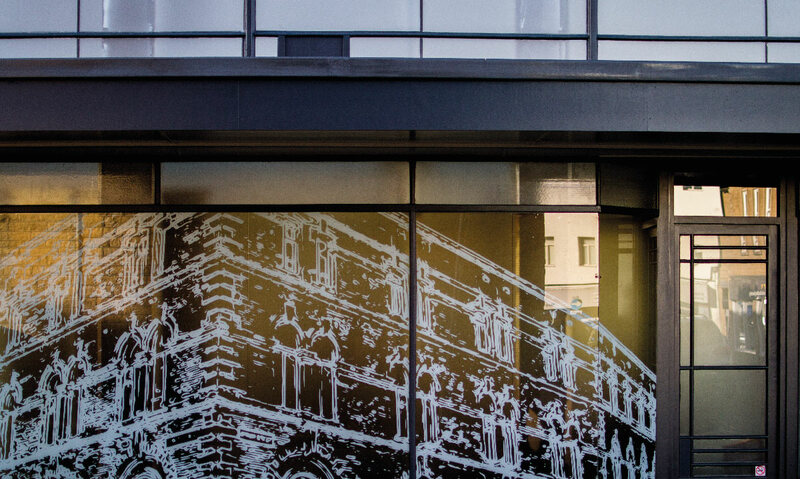 The environmental graphics were printed in house using opacities of white and were applied to the glazing over several weeks. The background shows a subtle orange glow designed to add warmth and contrast against the dark grey surrounding paneling and window frames. Explore the building at night and the graphics become back lit; taking on the glow from the interior of the building adding new shadowing and shading to the design. This works based on the specialist print media used.